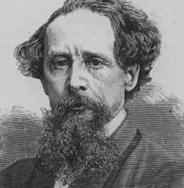 When Ireland was prostrate from the Great Hunger and millions in Britain were suffering misery imposed by those who had caused It, Charles Dickens wrote Hard Times, excoriating the doctrines of Malthus and the Benthamite Utilitarian ideologues who, under the guise of philanthropy, imposed unpleasantness and misery on the unpropertied and unenfranchised masses. Hard Times indeed, but Dickens had some fun with their creators. The teacher Mr Choakhum Child crushed the spirits of his charges by denying them anything that might bring them joy. His own boss,Thomas Gradgrind, banned anything which might stimulate imagination, fixated as he was by statistical facts. Gradgrind was autistic ,long before the condition had been identified. Today and for many years Ireland has been booming. All the economic statistics indicate the possibility of every citizen enjoying the necessities of life, food, shelter, education, medical and social care plus a surplus they might share with less privileged nations. But times for many of the citizens are as hard as they were in the times of the Great Hunger. Homelessness, hopelessness, and publicly organised Ignorance. Ignorance of the country’s history which from ancient times until the present have furnished us with saints and heroes and scholars to inspire us, and weaklings and scoundrels whose examples should serve as warnings. 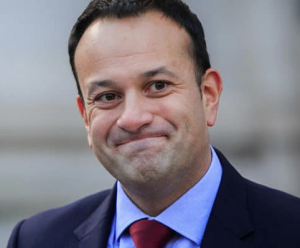 Those entrusted with Ireland’s fortunes resemble the cast of the Wizard of Oz more than that of a government. Leo the spineless Lion, the heartless tin man, and the brainless scarecrow could be mistaken for our Cabinet. The Minister for Children rejoices in the name Ms. Zappone. A Pantomime name for a Pantomime Dame? Or Dame Ynotte Zappemall while they are at it?